Perfect Profiles always gave more information than expected and the procedure was fully explained and executed well. I now have my smile back! Excellent, 10/10! A professional team who provide dental treatments & cosmetic dentistry for patients from across the UK. 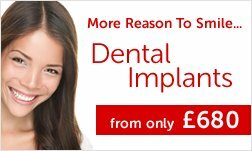 Perfect Profiles’ Dental Implant UK Clinics offer low pricing and the highest quality treatment. Read the recommendations from our patients. I would like to thank everyone at Perfect Profiles for their support and understanding. The whole process was relaxing and explained well. 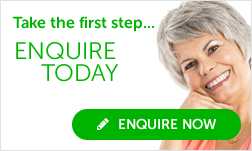 At Perfect Profiles we offer UK patients the same low costs for dental implant treatment as those found overseas! 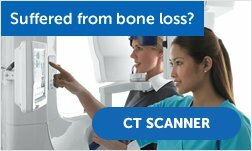 Our CT Scans are the latest technology in digital imaging, used to check for bone loss. Our experienced dental surgery team are experts in placing implants as well as other oral surgery procedures. Excellent service from start to finish, all staff are friendly, helpful and professional. The treatment plan was explained at every stage. Flexible appointments and staged payments helped with funding the treatment. Nobody likes to look older than they are and these Facial Rejuvenation Injections will help ensure that if anything, these areas look younger than your actual years. Professional and extremely clean! Felt like I was in good hands! Over the moon! Thank you Perfect Profiles. Perfect Profiles innovated low cost dental implants 14 years ago and thousands of patients later we still lead the way in the UK. Below are a handful of comments and testimonials clients of Perfect Profiles who mentioned to us that they would like to offer their recommendation of us by telling about their experiences at our Luton or Wolverhampton practices. As you can see, the huge savings and quality of work we are able to offer regularly attracts patients to travel to us from all parts of the UK. For further testimonials and to see our UK clinics please take a few minutes to watch our video. Before starting treatment, I had lost my teeth. 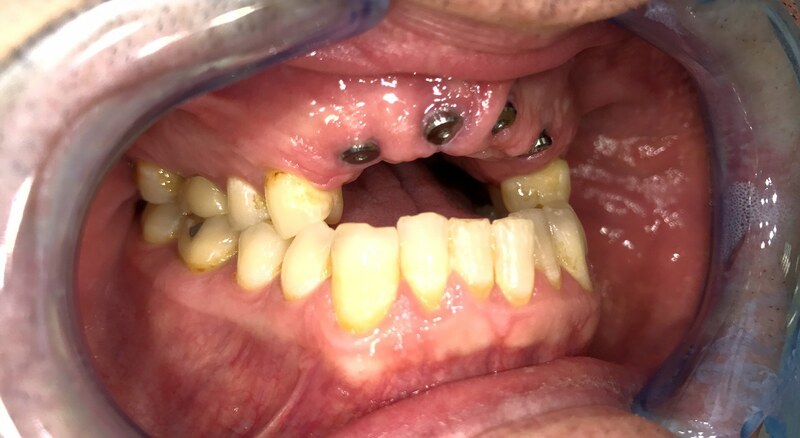 I needed Full upper and lower implants. Having completed my treatment, I now feel so much better. I can now Smile! From the reception team, to the dental nurses, to the dentist- Dr. Stephen Franks, all highly professional, highly competent, friendly and most efficient. I would recommend Perfect Profiles to my family and friends! I've been very happy with the treatment I received, and the end result was everything I hoped for. Dr Azhar has been very kind, professional, and informative throughout my long treatment. Thanks also to all staff members, great team. Azhar and all the staff at Perfect Profiles have been fabulous! Their care and professionalism have been second to none. I will have no hesitation in recommending Perfect Profiles to friends and colleagues. I am delighted with the final outcome. Thank you, Azhar and all the staff for your patience, care and expertise you have shown me over the six months of treatment. Good. All staff attentive and informative. Good! He was very professional, I had lost a few teeth and my confidence. He restored my smile and my confidence back. Thank you! I have been very happy with the treatment & outcome. I'm now able to enjoy steak, ribs, apples etc. The look is also better than I hoped for. All staff at the practice have also been very pleasant. During the whole treatment, I can honestly say there has been no pain. If I lived closer I'd change to this practice. Dr Azhar Bakhshi, has thoroughly explained the process of my implant. He has been very patient and understanding of my gag reflex. He has high attention to detail with the colour matching of the tooth, his work and clearly cares about his job. My experience was very positive. Straightforward - no problems. Very impressed with the initial explanations and information. Treatment very efficient and professional. The service I have received has been very good. I have had bad experiences in the past with other dentists but Perfect Profiles were very reassuring and helpful. All the staff put me at ease as I am an extremely nervous patient. I am now very happy with my final appearance. The treatment was excellent, 10/10. The staff were very friendly and helpful, they always asked how I was feeling and made sure I was relaxed. Overall I am very satisfied. I found the whole Perfect Profiles team inspired confidence, were knowledgeable and also very caring to my needs. I would definitely recommend the clinic to family and friends as it is the most professional practice I have visited. 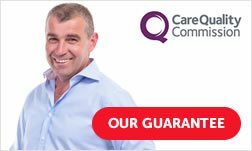 I could not speak highly enough of the service I have received - the staff are impressively professional, kind and extremely good at their jobs. The quality of the treatment is excellent and feels great. And the clinic is well positioned and comfortable. The dentists and nurses were obviously experienced in dealing with patient's fears and worries and did so very well. I looked forward to coming to every appointment, even though it was quite a long journey for me. 10/10! I have never experienced such a quality service, my teeth are perfect! I was very impressed with the level of professionalism and would never believe that a dentist could be gentle. Dr Gombos is an amazing dentist and has cured my phobia of dentists. She is truly an artist! From the first visit to the last, the experience has been first class throughout the treatment (without any pain). First class job, well done! I am very happy with the treatment, the dentist always involved me in my plan of care and the work he carried out was of an excellent standard. Everyone has been fantastic and have made the potentially traumatic experience of visiting the dentist, a very pleasant one. 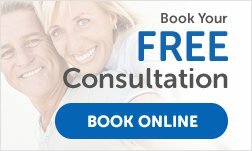 I found Perfect Profiles to be a pleasant, organised and efficient dental clinic, who know exactly what they are doing. My teeth look good now, 10/10! The treatment was carried out by professional individuals who were considerate, gentle and accommodating for my every need. Top class service! I am very happy, my job is customer facing so I have to smile a lot and now Marcos and his team have made that possible! Nobody likes the dentist, but all my friends are aware of how brilliant I think Perfect Profiles is. Overall I am absolutely delighted! All the staff were very nice, friendly and relaxed. My overall experience has revived my faith in dentist's, not afraid now to have more work done on my teeth. All staff and dentists were very friendly and gentle. They explained what was happening at all times and the treatment was completed exactly as described at the beginning. No hidden charges or pressure at any time. The whole team were friendly and put me at ease immediately, especially your receptionist. I was explained everything throughout each stage and was satisfied with the overall experience. I only wish you could open another clinic closer to my home! All staff were friendly and efficient, it's a pleasure to visit. The quality of treatment is brilliant and great value for money. I am amazed at the wonderful quality of the treatment and the lack of pain was surprising! I have complete confidence in everyone there and have been treated with such care. I am so happy with my final appearance, I love my teeth now, instead of feeling ashamed. The whole team were brilliant, very thoughtful to my feelings and ensured I was happy. The treatment went smoothly and the end result couldn't be better, it looks amazing. Perfect in every way, should have come here years ago! The experienced and confident dentist gave me belief and faith in her. There was a great service overall and an explanation at every stage helped overcome my fear of having dental work. I am ecstatic about the entire treatment and the result. The cost was far less than I expected and the staff are very kind. It was perfect! From my first contact with the clinic I was treated courteously, professionally and respectfully. My treatment was completed to a high standard and I am delighted with the result. I'm really impressed and very happy with the overall look that has been achieved. The dentist, was a perfectionist and I really appreciated that. I experienced a lovely, calm and friendly atmosphere from my first visit. Having used previous dentists, I found Perfect Profiles excellent. I am very happy with my final appearance and overall it was great value and the people were professional throughout. I am a very nervous patient but all the staff made me feel at ease. Perfect Profiles is a very professional outfit and I am over the moon with the end result. The clinic is second to none and my final appearance looks much better than I ever anticipated. The treatment was undertaken in a very professional manner and the surgical team were very caring and explained every aspect well. Overall I've had a very pleasant experience at Perfect Profiles. I appreciate that the quality of treatment has been first rate and Perfect Profiles were always very professional and careful during my treatment. It was a good decision to choose Perfect Profiles. I would highly recommend Perfect Profiles, the dentist and nurses were very nice, professional and above all not scary. I had always avoided smiling before I came to Perfect Profiles but now I don't have any excuse not to smile and show off my beautiful teeth. My whole mouth is transformed, I now have lovely teeth and I feel wonderful. The treatment was pain free and very professional. I have already recommended Perfect Profiles to my friends and family as I am very happy with my final appearance. Excellent staff and professional treatment, they took great care of me to make sure the experience was a positive one. My overall experience at Perfect Profiles was very good and all work was conducted well. All the staff spoke well with good manners. My final appearance is very good. The clinic was clean, updated and the staff were polite. During my treatment the dentist and nurses were very caring about my well being and the whole experience was excellent. I am the happiest I've been with my appearance for 15 years. The treatment has made my features feel and look better. My fear of dentists has miraculously vanished! The dentist was excellent, the other staff and nurses were all ace. Overall a 10/10, very nice people work at Perfect Profiles, who talk you through the whole experience. I found everybody friendly and everything was explained to me in great depth. I am very happy with my treatment and now feel normal. Thank you. I am very happy, very good service all round and the final appearance of my teeth is very, very good! I have never had such extensive treatment before and was a little scared, but the team have made me feel at ease and I have had such a brilliant end result. The whole experience has been worthwhile and I can now smile with confidence. I am completely happy! 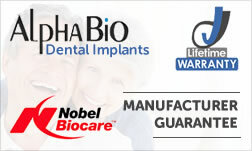 Gone are the days of ill fitting, uncomfortable dentures; I can now eat and smile with confidence. I found all the dental staff at Perfect Profiles to be kind, considerate, helpful and extremely proficient. The whole experience was a joy both from reception to the treatment area. Very professional in all aspects. Would definitely recommend Perfect Profiles to family and friends. Both dentist and assistant were pleasant at all times ensuring I was comfortable with all treatment. Overall very good, will be back and will pass on how pleased I am to family, friends and colleagues. I felt safe in the care of the dental team and very happy with the quality of treatment I received. I feel lucky to have found this little tucked away gem as the staff were great, friendly and very clean. The dental team were fantastic and after 23 years of hiding my smile for fear of anyone noticing, I can now smile at ease. Perfect profiles put me at ease the minute I walked in and talked me through my whole journey. Thank you very much! I found the dentists and dental nurses to be professional and informative as they gave me clear explanations to all my questions. Everything went smoothly and everyone was helpful and accommodating. Staff were professional and very open about what the sequence of treatment would be. Would recommend and use for future work. My first impressions of the Perfect Profiles clinic was that it was light, bright and welcoming. During my treatment I was re-assured at every stage and everything was explained to me. I am very happy with my experience at Perfect Profiles. 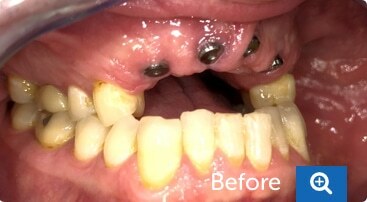 The treatment and dental team were very professional and the outcome looks really good and natural looking. The treatment plan was really useful, especially with the pricing for each treatment. I am very pleased with the service and standard of treatment that I have received from Perfect Profiles. The staff and doctors were more than willing to help and listen to me. The clinic was excellent, non-pretentious with up to the minute equipment and friendly, caring, professional staff. 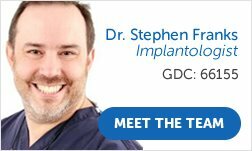 I have had dental implants before, at much greater expense, but the whole experience and the results were not as good as Perfect Profiles. I received good customer service at Perfect Profiles and the dental team were very knowledgeable and ensured that I felt comfortable throughout my treatment. The final appearance looks really good and looks like my original tooth. I can now smile with all of my teeth. The surgical team at Perfect Profiles were great; they regularly kept me updated with clear information of each procedure. The staff were always very friendly and keen to assist me whenever I had any questions. My overall experience has been efficient and cost effective compared to other practices’ with friendly and happy staff. Travelling 3 hours for my treatment was an experience well worth it for the quality of the treatment as well as the price. The final appearance looks great and I can chew again! Thank you. I was very impressed by the warm welcome, the professionalism and the patient care I received from all of the Perfect Profiles staff. I am also very pleased with the final results of my treatment. I would have no hesitation in recommending Perfect Profiles to friends and family. The whole dental team were very professional and treated me with upmost care and attention to detail. They made the whole experience excellent and all at a good price! I came to Perfect Profiles via my colleague’s recommendation and have since recommended other people to here. It really is worth the time spent travelling to Perfect Profiles’ clinic as all the treatment was well delivered in very pleasant surroundings resulting in the final result looking superb. The whole process was professional, efficient and friendly. All of my treatment options were clearly defined and then treatment was then described in detail and all of my questions were answered. The clinic is comfortable and well equipped with impressive, up-to-date equipment. All elements of service were impeccable. At Perfect Profiles, there were the best dentists I have ever used. I did consult two others, but this was the best for value, service and professionalism! The dental team really do know what they are doing. I could not be happier with everyone at Perfect Profiles as they were all very nice and truly excellent at what they do. This has resulted in my completed treatment feeling just like my own teeth, which I could not be happier with. I felt confident that I was in safe hands during throughout my treatment and the nurses were very reassuring and thus making the process to be relatively pain free. I really cannot fault the service given throughout by the whole team. From start to finish, the whole experience has been excellent. All the staff are friendly and informative who have provided excellent customer service. The final result is perfect and looks original. From initially contacting Perfect Profiles, I was given a clear indication as to what the treatment would involve, the time scale and the cost. The experience was as described and with the caring and informative dental team, I was never left with any anxieties. I would give my experience during the free initial consultation 10 out of 10 as everyone was friendly, professional and well informed. This carried on throughout my treatment, which made me feel at ease and has given me a wonderful smile. From the cheerful reception staff to the excellent dental nurses and dentists, it is evident that they all work together, ensuring that I was OK during my treatment. The quality of the crowns are excellent, much better than the old NHS ones that were being replaced and with Dr Gombos’ advice regarding the bridge, I now have a much improved smile. I only have to look at the end result to know the treatment was top class. I simply cannot praise Perfect Profiles’ nurses, dentists and all the staff enough; they were all excellent. Thank you! The reception area is comfortable and close to the reception staff, which allows you to be kept informed by the friendly members of staff. I never doubted the expertise of the dental team at Perfect Profiles and there was no need to be as I am very happy with the final result. I cannot rate my experience highly enough as everything was 10 out of 10. The staff were always very helpful and made sure I was put at ease at all times. As a consequence, the overall experience turned out to be rather pleasant resulting in me having a lovely looking smile..
Everyone at Perfect Profiles were understanding and very informative, making me feel comfortable throughout my treatment. I was very nervous about having the treatment done, but there was no need to be and now my teeth look excellent! I would really recommend anyone to use Perfect Profiles for their dental needs. 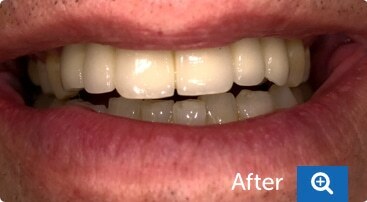 I am really pleased with my treatment that was completed at Perfect Profiles; the final appearance is great! My whole experience was just brilliant! The treatment that has been achieved is everything I hoped for; the final appearance is excellent! From the reception to the completion of treatment, there is nothing at all that can be faulted. When I first arrived at Perfect Profiles’ clinic for my free consultation, I thought the reception area looked very clean and stylish. 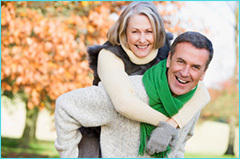 Since this appointment and throughout my treatment, I always felt very comfortable. All of the team were pleasant and professional, and they all looked to be enjoying their jobs. I would give 10 out of 10 for the appearance of my smile now. I was always a little nervous visiting the dentist but when I first walked into this dental clinic, it looked comfortable, clean and welcoming. Everyone was friendly and made me feel at ease at all times. My overall experience would be one I would definitely recommend. Since the completion of my dental treatment, I feel 5 years younger. My overall experience and the service I have received here was 100% awesome! I would definitely recommend Perfect Profiles to my friends and family. Mr H Mistry, Warwickshire (Dental implant treatment completed June 2013). All members of the dental team were very friendly and reassuring. The care and dental treatment I received was really good, making the final appearance of my completed dental treatment excellent! It is the best dental treatment I have had. Mrs S Smith, Birmingham (Cosmetic dental treatment completed June 2013). I have hated going to the dentist all of my life but coming to Perfect Profiles has changed this. All of the members of staff were polite and professional and therefore made me feel at ease throughout my dental treatment. Ms P S, Oxfordshire (Dental implant and cosmetic dental treatment completed June 2013). I saved literally thousands of pounds by using Perfect Profiles. I gave the money I saved to my son to assist with his mortgage after having work carried out on my teeth. I would highly recommend Perfect Profiles for service, quality and price. 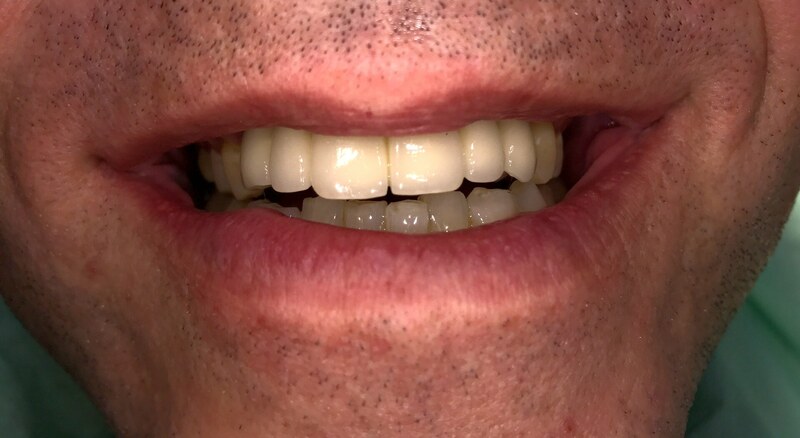 Mr J Jeffrey, Glasgow (Complex dental implant treatment completed June 2013). My initial impression of the dental team was great and the clinic was very presentable. I am very happy with the quality of my dental treatment as I feel that the whole process and the team were very professional. I was always given good advice and care. I cannot think how my experience at Perfect Profiles could have been improved in any way, as it was all first class. The service that is provided really is good value for money. Mr R Toms, Surrey (Dental implant treatment completed May 2013). I would like to thank all of the Perfect Profiles team in Wolverhampton for putting me at ease with their care and professionalism. I think it was very apparent that I was extremely nervous, but they all helped me overcome this. Thank you. Mrs K Wallace, Shrewsbury (Dental implant treatment completed May 2013). The reception staff were friendly and the waiting room was very pleasant looking. I was so impressed with how patient and kind the dentist and dental nurses were. My horrible silver fillings have all gone and have been replaced with lovely onlays and crowns and I am no longer afraid to smile! For someone so nervous with a fear of dentists, I now feel ready for dental implant treatment as I no longer have any fear due to the patience and kindness of the staff. I am highly impressed with Perfect Profiles and I can’t thank them enough. Mrs A M Howard, Milton Keynes (Cosmetic dental treatment completed May 2013). I had my treatment completed at the Wolverhampton clinic and everyone was extremely friendly. The dentist was professional and very capable. All of the staff could not do enough to help me, even before I booked my treatment. Mr C A, West Midlands (Dental implant treatment completed May 2013). I was made to feel very welcome and was impressed with the general appearance of the practice. Dr Boross was excellent and all the staff cared about my needs. Thank you! I am so pleased with my new tooth – it looks wonderful and I am truly delighted. The crown is a perfect fit. I am so thankful for the great receptionists and nurses and especially to Dr Kadar for all of their good will, patience and skill. Having had dental treatment at Perfect Profiles, I feel I must say how proficient and friendly all the team were. I am so pleased with what they have done that I would like to continue with the other bridge work as suggested by the dentist. Many thanks to everyone. Mr G Beacom, Bedfordshire (Cosmetic dental treatment completed April 2013). The dentist has fitted my crown beautifully. I’m very pleased with your service. It’s been EXCELLENT! 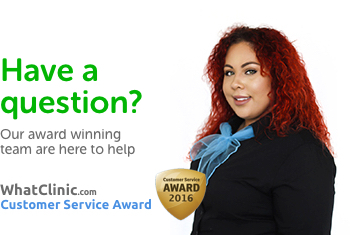 I am very happy with the service that I received and the staff have been extremely helpful. I would recommend my friends and family to Perfect Profiles. I found the staff polite, friendly and professional. The service was first class. I was given a treatment plan in advance and this was followed. I would recommend Perfect Profiles if you are looking for the best. Thank you. The reception area is clean, quiet and comfortable. My first impression of the dental team was good. I am happy with the quality of the treatment and that a lot was completed every time. The surgical team was always caring and professional. I am very happy with the final appearance of my completed treatment. Overall I am very happy in regards to the cost, location, the treatment received and the final results. I have already recommended you to 2 of my friends, who have started their treatment with you. I was suitably impressed which lead me to complete my course of treatment. It was exactly what I asked for; at the price I was quoted and completed in the time scale predicted. The surgical team were professional, polite and ever attentive to the needs of me as a patient. Without a doubt I would recommend you to my friends and family for them to complete their treatment. It really was first class treatment from a first class team providing excellent facilities and care at a sensible and realistic price. I was so unhappy before my treatment, now I grin confidently. I had 8 crowns and 2 bridges fitted. They look so natural; it’s as if I have always had nice teeth. Dr Farid was careful, gentle and friendly; a pleasant experience. I have already recommended you to my boss who will be coming for treatment too! I found the staff at Perfect Profiles fantastic, friendly and very welcoming. All the team was caring and kind. Initially I was terrified but they made me feel at ease. I now have a new mouthful of teeth and I am ecstatic and thrilled with them. I look like a movie star, honest! I now rate my smile better than 10 out of 10. I can’t recommend your service highly enough. I am very pleased with the clinical and the service received. My “highlight” was actually an extraction as it was totally painless. I was very happy with the quality of the treatment that was completed. The end result was better than expected, excellent in fact! The surgical team were very professional and talked me through each stage of the treatment which made me feel relaxed. The final appearance of my treatment is alike all my Christmas’s have come at the same time. I can not see any way in which my experience with Perfect Profiles could have been improved. All the clinical staff are absolutely lovely and friendly. They explained what was happening which was reassuring. I am extremely happy with the crowns I have had completed and I would highly recommend the clinic and will do to my friends and family. I was impressed with the modern, clean reception area and was met by very friendly, professional staff. The final appearance of the crowns looks really good. The dental practice was simple, clean and smart; I liked it. I am very happy with the quality of the treatment completed. It was well done, and looks great. My Dentist was excellent. The surgical team were very considerate and professional. I am so happy with the results and recommend Perfect Profiles very highly. Just a big thank you for looking after me so well and of course, a special thanks to Dr Kovacs for fitting such a splendid bridge. I am so pleased with Perfect Profiles and very disappointed with my local dentist, that I would now like to use you as my regular dentist. I wanted a smile that I could reveal confidently, without being obvious that I had completed dental treatment; this was achieved. 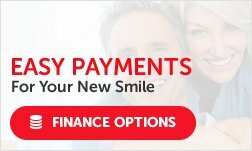 I was quoted over £7000 from my local dentist and but my treatment has only cost £2500. I would urge everyone to go for the Perfect Profiles option; I am extremely pleased with the outcome. I found the dental staff absolutely brilliant, nothing was too much trouble. I cannot see any way you could have improved my experience. The final appearance of the treatment was excellent, what more can I say? I am very happy with my implants and new bottom denture. They are very comfortable and feel natural and do not have any problems eating any type of food. I can’t wait to have my top set done. I am extremely happy with the treatment I have received, it is just beautiful. The surgery team were confident and friendly. This is the best experience of dental treatment I have ever had. The clinic is comfortable with the staff always smiling and friendly. The quality of treatment is very high and I would definitely recommend Perfect Profiles to my friends and family. Considering the condition of my teeth before treatment I am very happy with the appearance of my treatment. The clinic is very professional and I found the surgical team always excellent during my treatment. Overall, from me, the clinic, the staff and the treatment at Perfect Profiles are all highly recommended. All of the dental staff are excellent, knowledgeable, kind and caring. I never felt rushed and found the staff professional and willing to explain everything; they were always friendly. I now rate my smile a 10 out of 10 and would certainly recommend Perfect Profiles to my friends and family. I wasn’t sure how they could award 10 out of 10 in “Strictly Come Dancing”, yet here I am awarding 10 out of 10 to Perfect Profiles, without hesitation. The treatment, clinic and service were all first-rate. The appearance of the completed work is very good. I am so pleased that I no longer have any gaps and would happily recommend Perfect Profiles; they are the best value for money. All the staff are professional, helpful and friendly and they didn’t try to sell any unnecessary treatment. The clinic is smart, hygienic and relaxing. I am very happy with the final appearance of my completed treatment, what more do I need to say. I am very happy with the quality of treatment and service that I received on all of my visits to the surgery and would recommend them to anyone. My experience of my whole course of treatment by Perfect Profiles is that it was done by highly qualified dentists and staff, where the patient’s care is their No. 1 priority. Perfect Profiles has done exactly as it says - it has given me piece of mind, allowing me to laugh again without the gaps of my past. I am delighted with the final appearance of the treatment. The dentist was exceptional and did a great job working quickly and efficiently and has really improved my smile. This is something I have worked to do for a long time and finally got the courage to do and it has really boosted my confidence. Perfect Profiles gave excellent service and treatment that made me feel special. My whole experience with Perfect Profiles has been PERFECT they have given me back my confidence without the need to take out a bank loan. I would not hesitate in recommending them, they are the best dentists that I have come across and provide a first class efficient service, which in my experience is focus upon patience, understanding and customer care. In order to contact you and provide a service, this form collects all required field data.